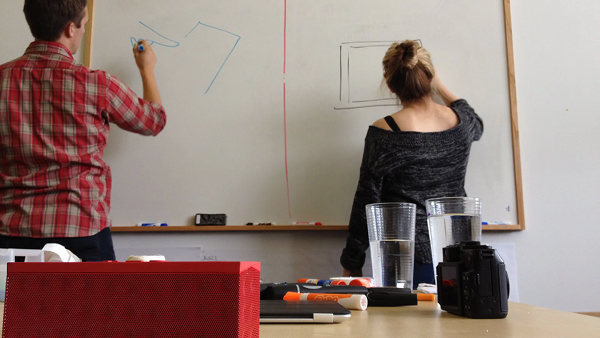 Update: See how we mashed up all the back-end bits to create our small business dashboard. 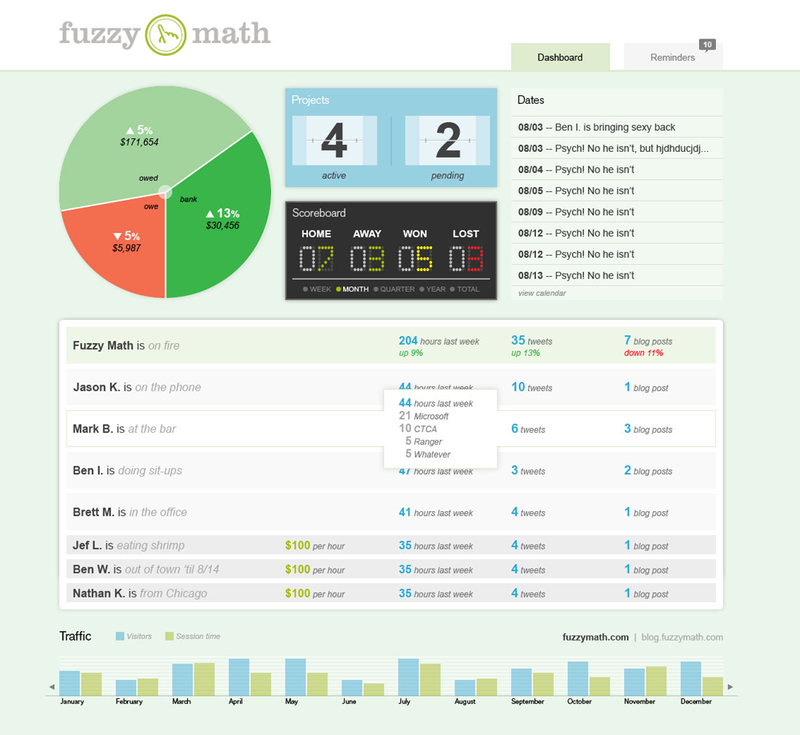 Inspired by other small business dashboards we decided to create one for Fuzzy Math. The first iteration is going to be geared for the three co-founders by providing a heads up display of company performance. Normally we send out a series of emails or Basecamp posts to each other. It’s tedious and doesn’t really provide all of the right information at a glance. Here is Brett’s early design for the page. Ben Worrel, one of our interaction designers, will have a follow-up post next week on how we hooked all of the various data sources together to make it work. Any interest in this for your own small business? Anything you’d add or remove?